In the long history, of over 400 years, the Kansuiro Ryokan has retained its beauty and dignity as a historic, luxurious Japanese inn. Kansuiro Ryokan, built in 1919 (Established in 1614), is highly rated example of traditional Japanese wooden architecture and has been designated as a Registered Cultural Property of Japan. The interior is filled with precious Japanese antiques. The decoration of the interiors have been beautifully retained and will make you feel as if you were staying at a real Samurai House. Kansuiro Ryokan is also well known as an inn frequented by many Japanese celebrities over the years. The Tokugawa Mitsukuni, kin of the Tokugawa Shogun stayed at Kansuiro. Natsume Soseki, whose portrait is printed on the former Japanese 1000 Yen bill and was the first Japanese prime minister also stayed at Kansuiro. Many dignitaries, celebrities, members of the Japanese royal family and even champion Sumo Wrestlers have stayed at Kansuiro. You will find many commemorations of these celebrities inside the building. 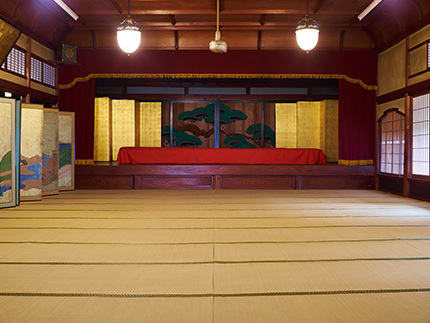 Click here to view a selection of interior and exterior photographs of the Kansuiro Ryokan. A large hall - Jindai Kaku. The name 'Jindaikaku' comes from the Japanese Jindai cedar wood. The wood used for the ceiling is several hundred years old. These restoration Japan cedars have been either buried under ground or under water for more than 1000 years. This wood was discovered in the mountains in the Hakone region. A large hall with a stage. It is made with Jindai cedars and cypresses. 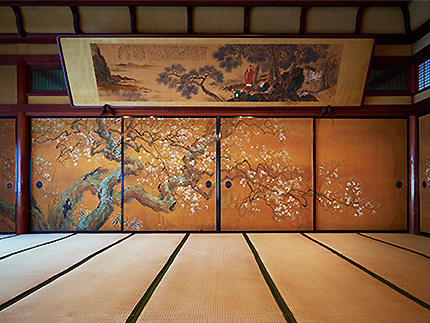 A framed calligraphy by the artist Matsuura Ranshu of Lord Hirato, who became a count, hangs in this hall. The ceiling is made with Jindai cedars. This hall can also be used as a meeting room. 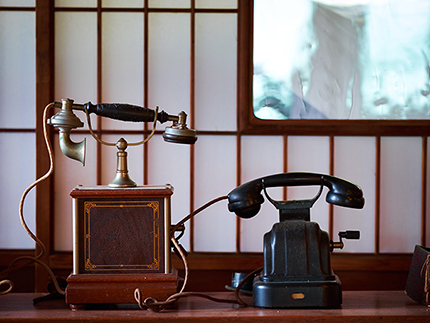 Historic artifacts such as an antique telephone and others are also exhibited in this hall. 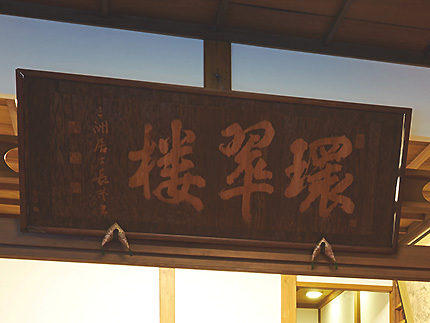 The letters of Kansuiro in the wooden logo plate is a writing by a calligrapher Cho Sanshu. One of a rare works that has inscription of Shirakawa Sengoku. © 2015 KANSUIRO. All rights reserved.